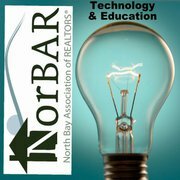 Last week, I was invited to be a guest speaker/presenter at the NORBAR Association of REALTORS Tech Party in Santa Rosa, CA. There were many great vendors with awesome products and services including our friends from Zillow. During the day, there were presentations every hour on the hour, one of them being ours – Top FREE Online Real Estate Tools and Sites for business. The hour went by very quickly and the presentation was packed with some of the best-of-the-best tools available for industry professionals. The majority of tools and sites we presented are to use in an effort to help save time, help agents and brokers be more efficient, and build both relationships with potential and existing clients as well as build business and market-share. As promised, here are the slides from that presentation. The mobile technology portion that we didn’t get to share due to time restraints will be posted here in the next few days. I want to thank the NORBAR Association for having me at their event, I sincerely hope and look forward to participating each and every year going forward. NOTE/TIP: You’ll find a direct link to each of the sites mentioned in these slides located in the lower right corner of the slide. Simply click on it with your mouse to be taken directly to that particular site for more information and details.